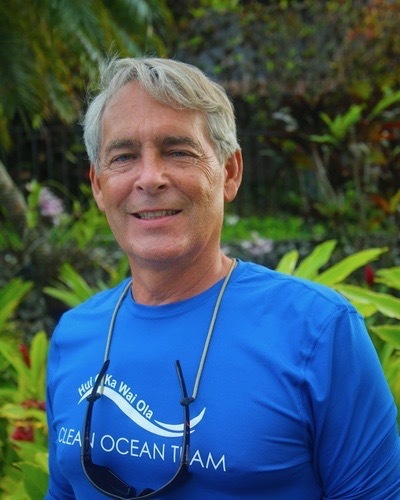 Meet the Clean Ocean Team! Mahalo to Hui O Ka Wai Ola’s dedicated volunteers and surveyors for putting the "quality" in water quality monitoring! 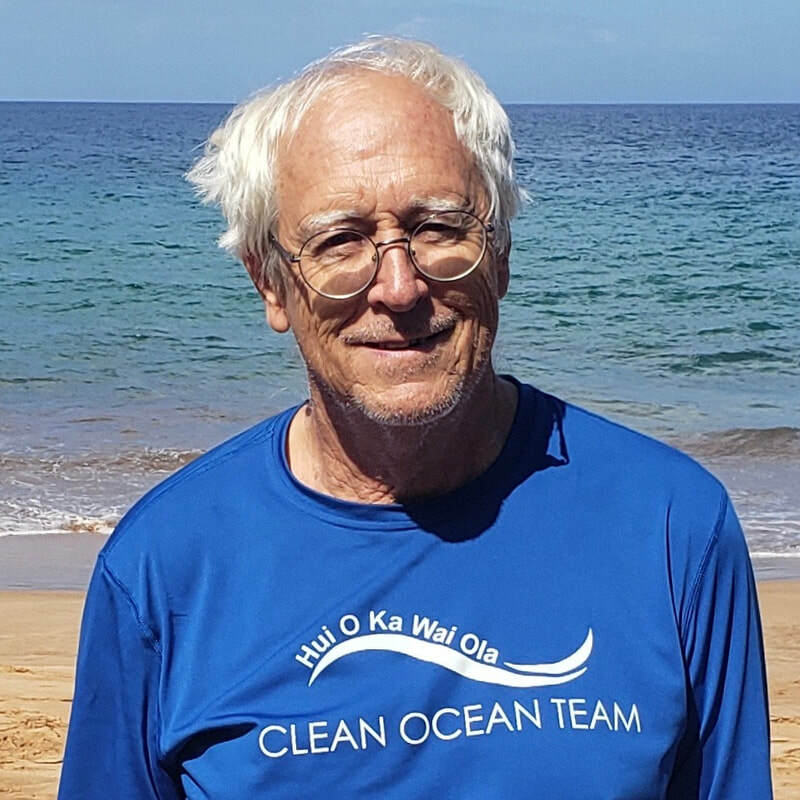 Our community-minded volunteers contribute in a number of ways, from collecting ocean water samples at sites in West and South Maui every two to three weeks, to taking a closer look at the samples back at the lab and entering findings into our database. Their work helps the Maui community to know what’s in their coastal waters. 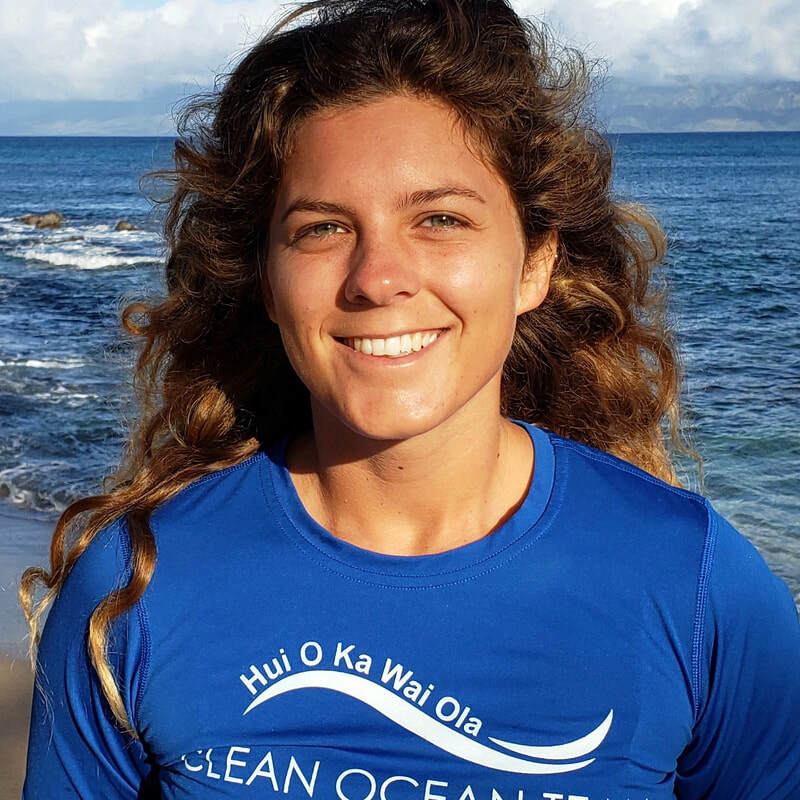 Join our Clean Ocean Team to help expand monitoring to other locations across Maui. Current volunteers not pictured: Tiffany, Cici, Lyn, Bruce, Richard, Debra, Renee, Scott, Donna, and Bob. Alumni volunteers: Nell, John, Terry, Marie, Lori, Roxie, Annalea, Lory, Steve, Tina, Audrey, Amber, Ben, and Lowell. The Project Manager leads all monitoring operations, labs, documentation, and trainings in collaboration with Team Leaders. Team Leaders lead small groups of volunteers in the field and in the lab to gather, transport, and process water quality samples. 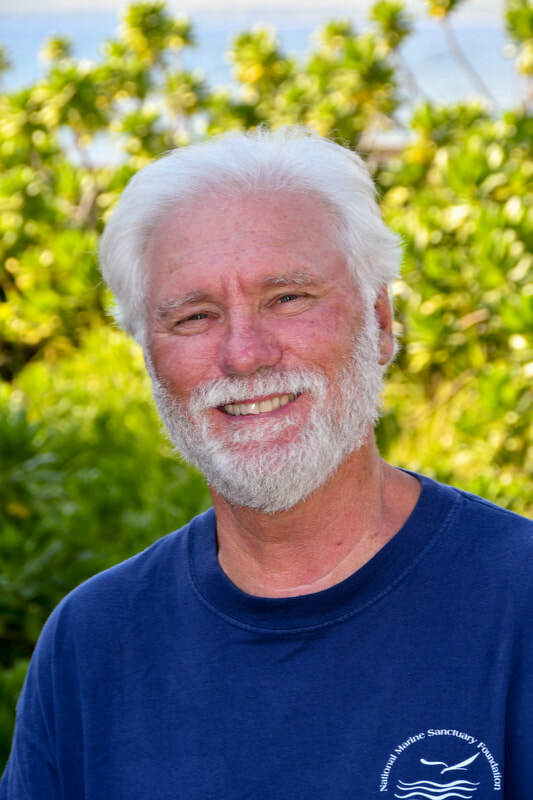 We currently have one Project Manager and three Team Leaders across sampling groups in West and South Maui. James is our Project Manager and is responsible for the running of the Hui. He is responsible for the day to day aspects as well as guiding the Hui towards the goals set by the Steering Committee. He does volunteer outreach, training and will go out with the sampling teams or be in the lab as needed. He works with the Team Leaders to maintain lab equipment and inventory. 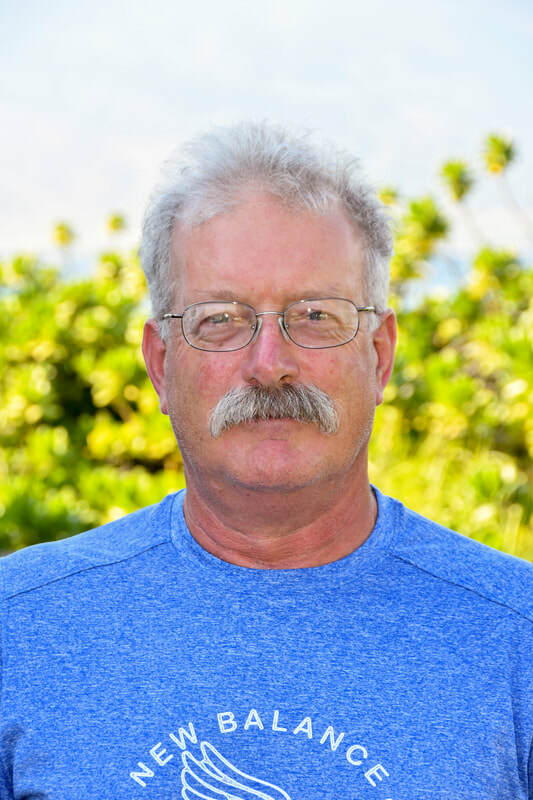 He is also in charge of our community outreach and maintaining all of our standard operating procedures and Quality Assurance Project Plan (QAPP) with the Hawai'i Department of Health. 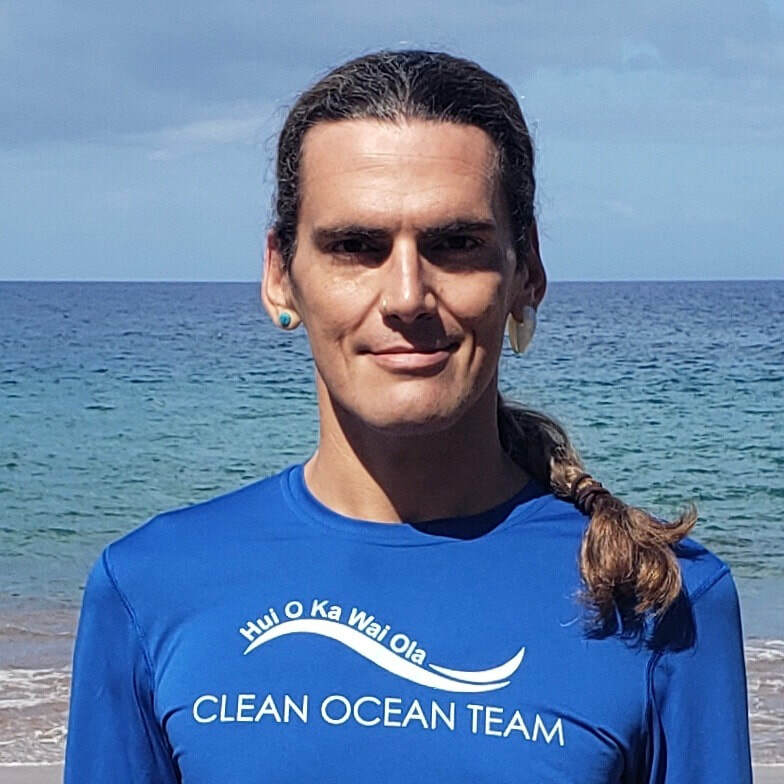 When James isn't in the field or lab, he enjoys all things mauka and makai on Maui, from hiking in Haleakalā to playing in the ocean shore break. Cathy has been part of Hui O Ka Wai Ola since it began in early 2016. 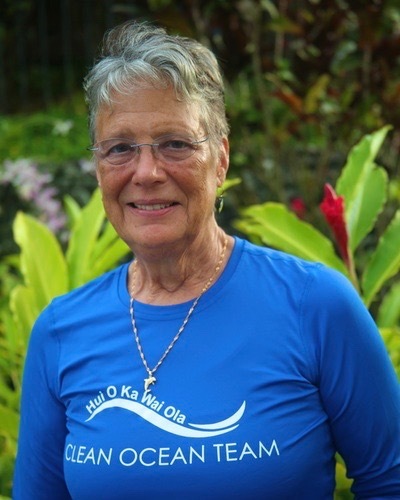 She was a member of one of the original teams that tested water quality in West Maui, helping to collect samples at 6 sites from Olowalu to Polanui. 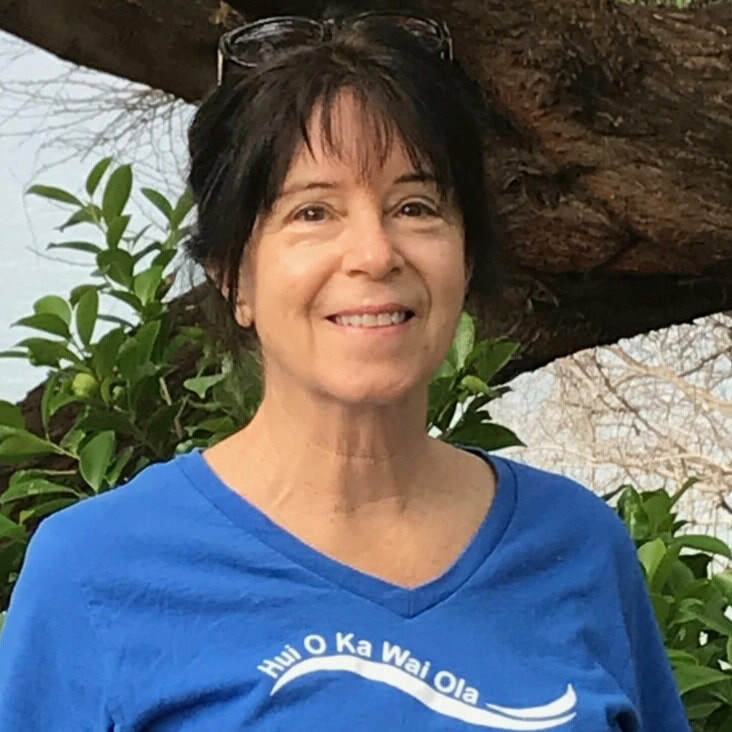 Recently, Cathy has taken on the role of Team Leader to help train volunteers for 6 new sites in West Maui and 12 new sites in South Maui, and to provide lab and logistical support for the teams testing water quality at the 12 northernmost sites from Honolua Bay to Wahikuli Beach Park. 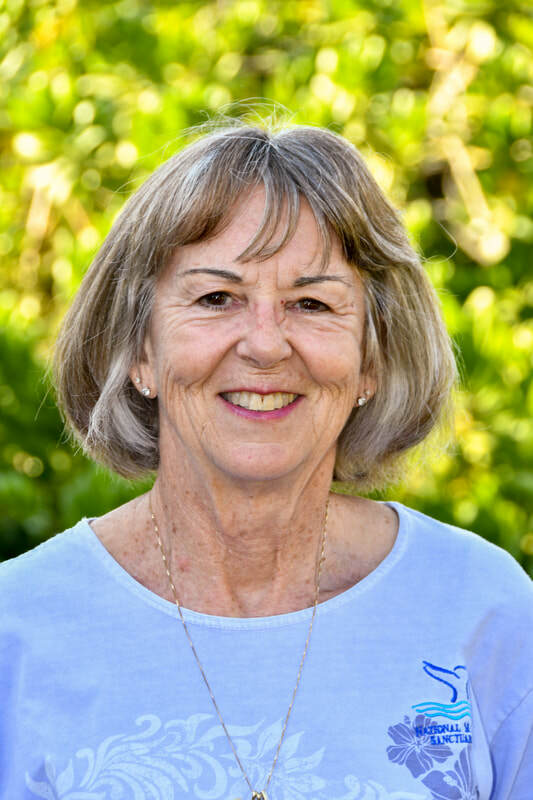 Cathy lives in West Maui with her husband, Jim, who is also a Hui volunteer. 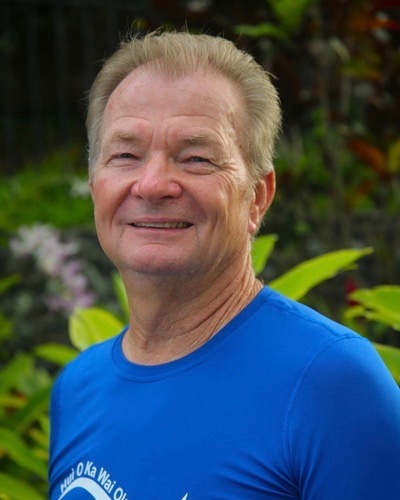 ​​Bill has been supporting Hui O Ka Wai Ola by providing technical support and sometimes helping in the field with his wife, Dana Reed. His background as a software developer and database administrator naturally lead to the role of Data Manager, assuring that the data that are reported to the public and governmental agencies are accurate and consistent. He has also provided imagery, sometimes using a drone, documenting particularly bad drown water runoff events or collection activities of the group. 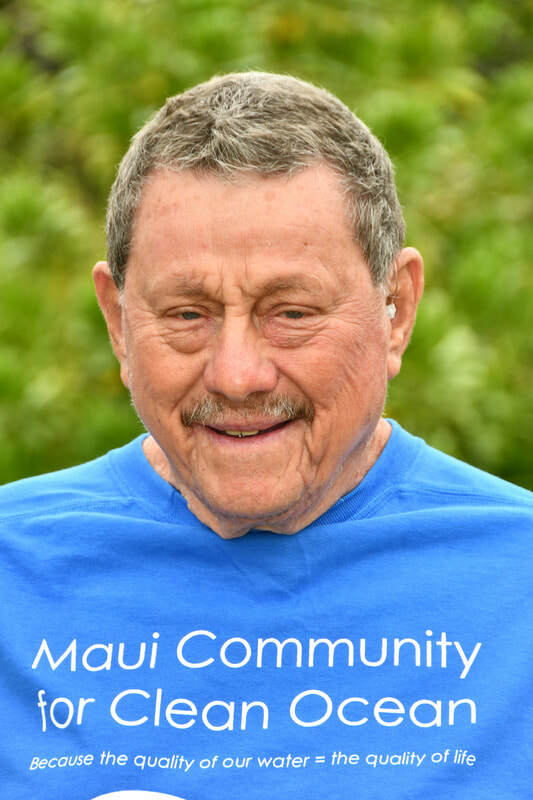 Hui O Ka Wai Ola’s Steering Committee guides volunteer efforts. Its members provide technical expertise and coordinate with the Department of Health to determine where, how, and when water quality is tested​, and also what pollutants to look for. 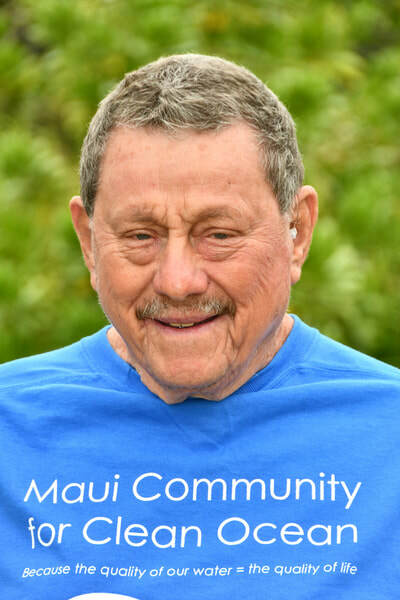 The committee is comprised of representatives from organizations that formed Hui O Ka Wai Ola to help ensure the public has access to accurate information on water quality. 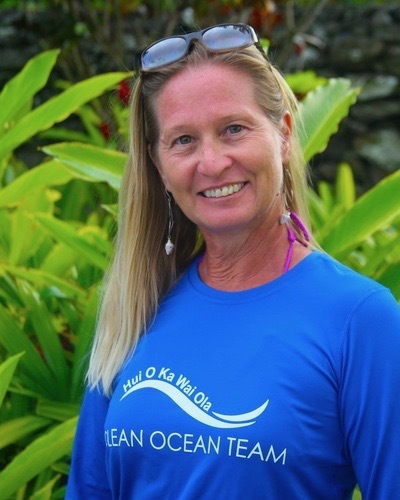 As the west Maui regional volunteer coordinator, Dana plays a huge role in introductory and refresher trainings for volunteers and regularly organizes get-togethers among the Clean Ocean Team. 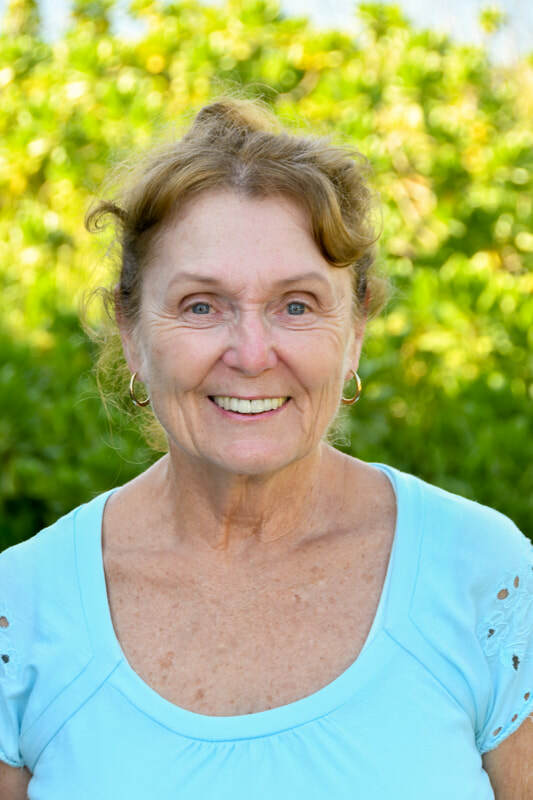 Behind the scenes, she is responsible for securing and maintaining lab space and lab equipment, processing sediment samples, and storing and shipping nutrient samples to the analytical SOEST laboratory on O‘ahu. Dana maintains volunteer records as well as all the data sheets collected during west Maui sampling sessions. She is also responsible for data analysis and works with the technical committee to report out to the public on their findings. To ensure that there is always adequate coverage in the field or lab, Dana steps in when a team leader is unavailable or additional hands are needed for sampling. ​Tova sits on the Steering Committee where she supports progress in formalizing the organizational architecture, and weighing in on issues that arise as the Hui grows. As the coordinator for the West Maui Ridge to Reef Initiative, she also looks for synergies, connections to funding, and related efforts linked to West Maui, and has an eye towards how water quality monitoring results point to issues that can be addressed through mitigation projects in the watershed. She feels blessed to be a part of this group, which in true barn-raising style, is made up of stellar people who rush to help in whatever way they can. 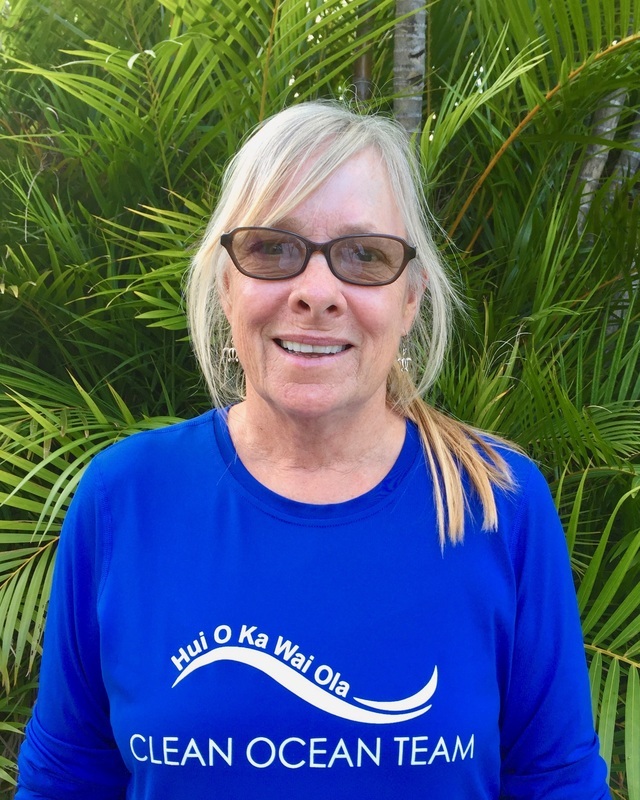 Kim has worn lots of hats within the Hui as the organization grows, from helping to write, assemble and organize the Quality Assured Project Plan (QAPP), to purchasing initial equipment for the lab, to developing budgets to assess how much the program would cost to run. She continues to develop the QA process with help from the Hui and the state Department of Health, works directly with S-LABs on data methods and procedures, enters and checks data from volunteers, and analyzes data for reporting and publishing. In other words, she likes data, and is working on strategies that makes data processing easier for everyone! She helps to design and teach volunteer training courses works to promote the Hui's work, and hopes that the Hui model will help other communities. 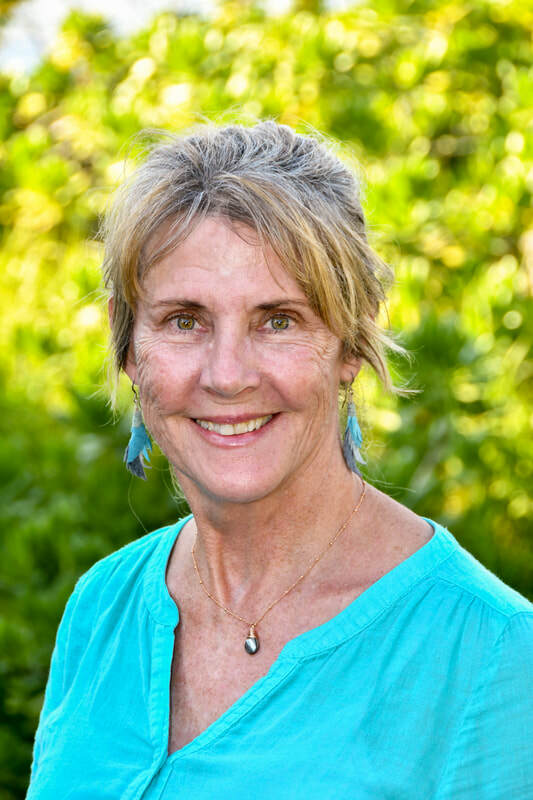 ​As co-founder and chair of the Maui Nui Marine Resource Council, Robin spends most of her time thinking about coral reef health and steps we can take to improve it. In 2014, Robin initiated the effort to bring together representatives from State, County, public and private organizations to address Hawai‘i State Department of Health reports of seriously degraded coastal water quality in Maui County. From this meeting, the need for Hui O Ka Wai Ola – and a Quality Assured Project Plan - was born. 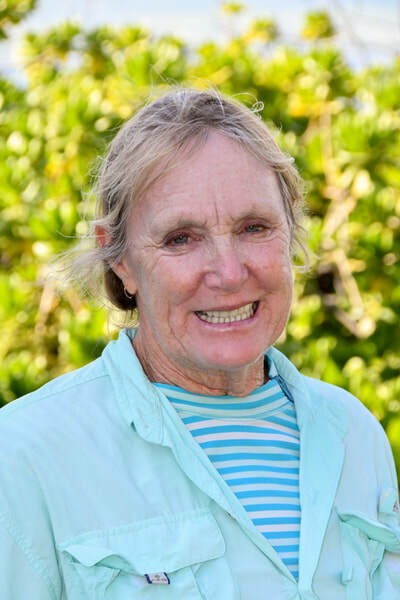 Her background as a marine biologist, with 1000s of underwater research dives around Maui and elsewhere in the Pacific, make her keenly aware of the degradation of coral reef health around Maui Nui. Her 10+ years of experience running a non-profit on Maui lends well to her leadership role on the Steering Committee and her fundraising success. With support from the Hui, Robin is spearheading the expansion of our water quality monitoring efforts to South Maui. 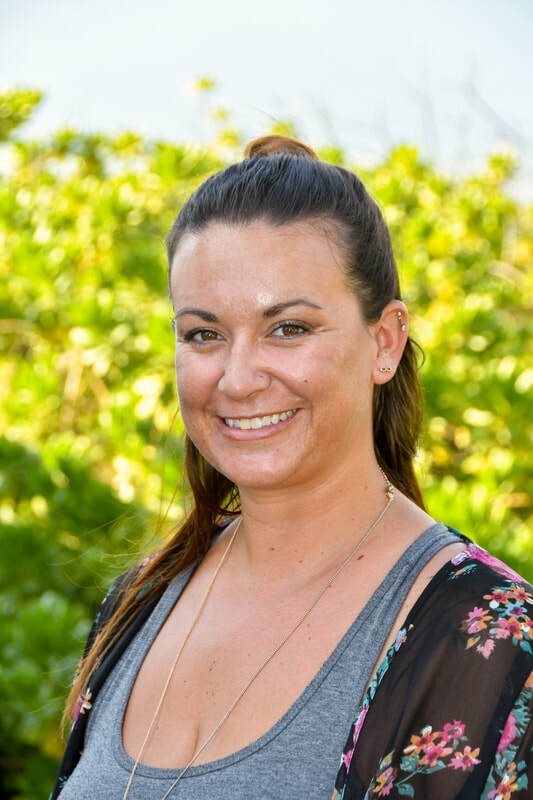 Amy participates in the Hui Steering Committee as the Operations and Programs Coordinator for Maui Nui Marine Resource Council. 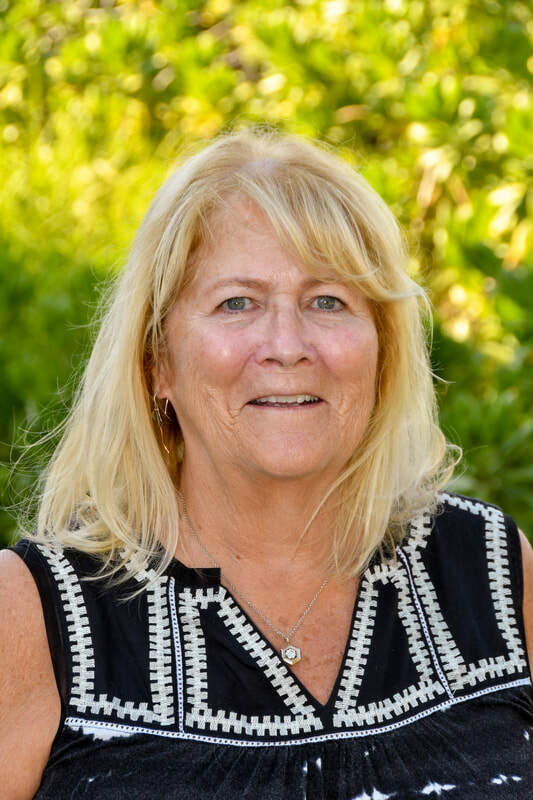 She helps to oversee the expenses of the monitoring program, and to secure funding for program continuation and expansion throughout Maui Nui. She can often be found working behind the scenes, helping to organize and document volunteer events or promoting the Hui's latest efforts on social media. As an avid paddler, having clean water is something that's near and dear to her heart. ​Alana supports the Steering Committee and the amazing team of water quality volunteers by bringing to the table outreach and communications expertise. She designed the informational business card you may be handed if you pass a sampling group on the beach, and helps to continually create and manage the content, look, and feel of the Hui O Ka Wai Ola website. She also works to keep volunteers safe by developing protocol for accident prevention and management for field and lab work, and helps with tracking volunteer hours for grant reporting. When she’s lucky, she’ll join the Clean Ocean Team in the field as a certified water quality monitoring volunteer. These are members of the Hui O Ka Wai Ola Steering Committee and Project Management Team who no longer hold their position but whose efforts have made lasting impacts! 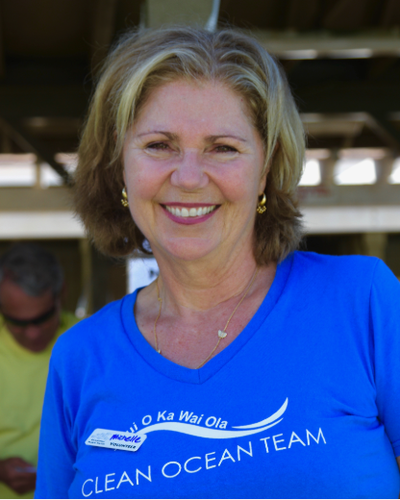 As the South Maui Regional Coordinator, Sofia oversaw the Hui's efforts from Ma‘alaea to La Perouse. 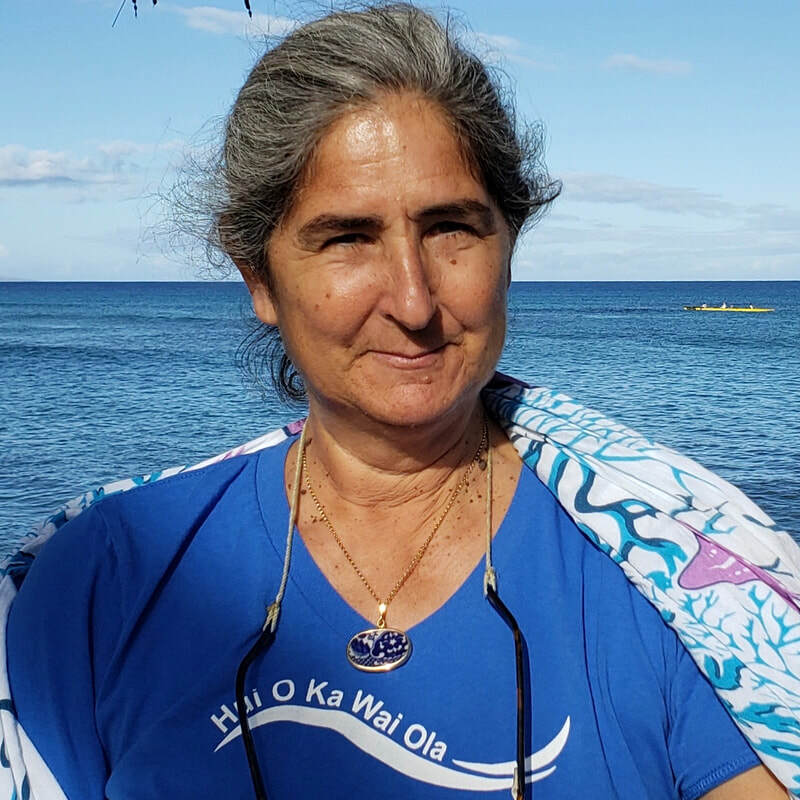 She set up the lab space at the Hawaiian Humpback Whale National Marine Sanctuary, recruited volunteers for the field, and made sure the program was ready to initiate sampling in South Maui in October, 2017. She served as the point of contact for all South Maui activities, and as the interface between Maui and the analytical lab in O‘ahu. 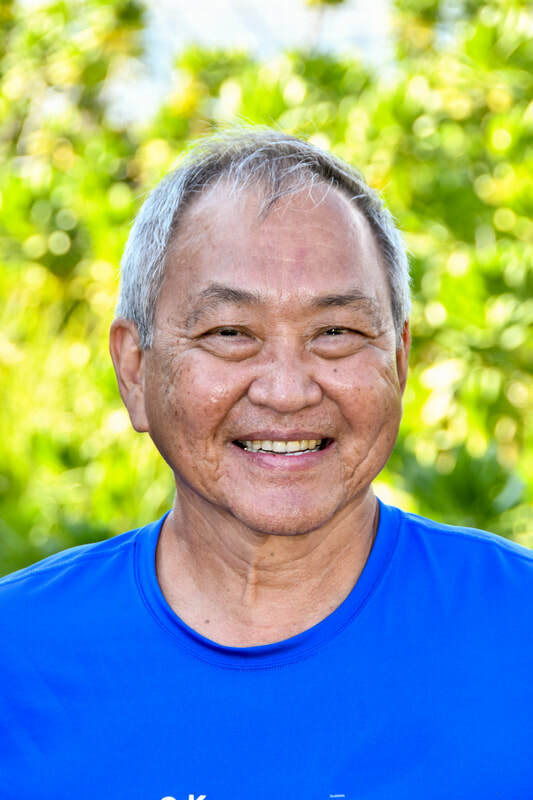 George served as a volunteer with Hui O Ka Wai Ola since the group's inception in 2016 and grew into a team leader responsible for the Polanui and Olowalu groups for 12 beaches starting at 505 Front St. in Lāhaina traveling southeast until Pāpalaua Beach Park. Responsibilities included helping to train new volunteers, ensuring qualified volunteers were available for each testing day with all necessary equipment and forms, calibrating and verifying testing equipment, processing sediment samples, reviewing data for errors and trends and, with the Regional Coordinator, caring for the lab. 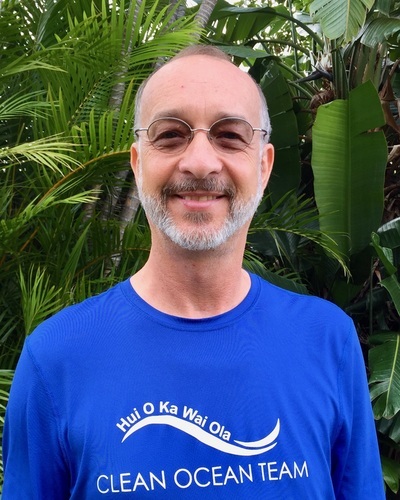 Megan participated in the Hui Steering Committee as the General Manager of Maui Nui Marine Resource Council. Megan supported the Hui behind the scenes, helping to oversee the expenses of the monitoring program and secure funding for program continuation and expansion throughout Maui Nui.